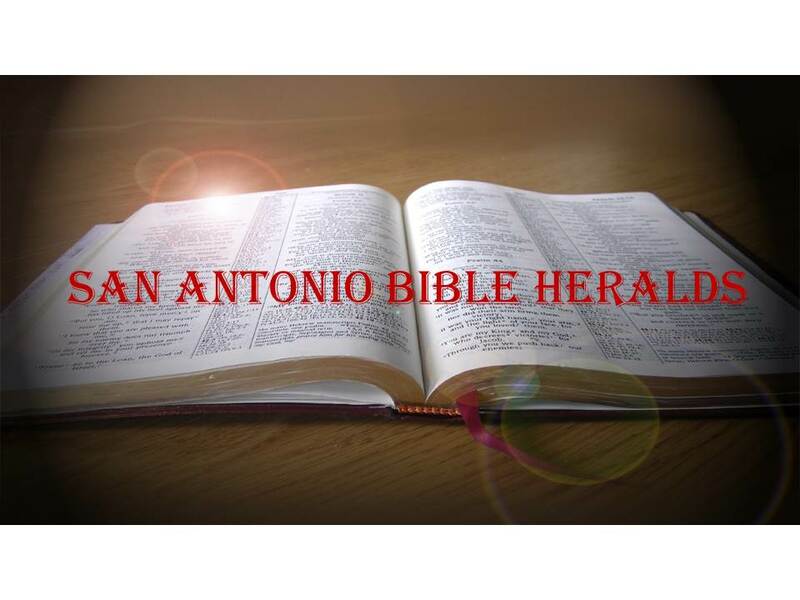 San Antonio Bible Heralds: Generalities, Generalities! Aside from the issue of baptism, no CofC practices rub the Christian world the wrong way in general more than the one cup, one loaf and the no Sunday school belief of some within the CofC. Of course, there are those churches of Christ that, although they do have Sunday morning Bible studies, refuse to call them Sunday school because they do not want to sound denominational. It is my opinion that their refusal to label them so in the belief that not doing so somehow makes them more correct is misguided. But my intention is not to criticize that particular practice, but rather to point out the problems with our author’s approach. His belief is that, since some within the CofC do not call their Bible classes Sunday school, they are somehow wrong in not doing so and that, by extension, shows their dishonesty and lack of love. This is where things get interesting. You remember that Mr. Simpson made a point of saying in a previous chapter that he could not believe that anyone who was a sincere person in a particular denomination could be lost. It is unfortunate that he does not seem to be as charitable when it comes to the members of the CofC. He constantly accuses them of insincerity and does not seem to extend the benefit of the doubt to its members. To him, their actions are all that matter without any regard to what motivates such actions. It is undeniable that we can at times go overboard in our insistence on obeying the commands of God as we see them. But we cannot simply throw them away in a mad rush to be seen as charitable and loving. Those two things are not mutually exclusive. 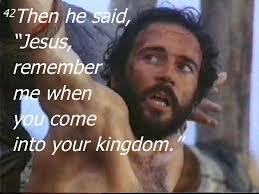 We then move on to perhaps the most often misused conversion in the Bible. The thief on the cross has been the target of endless speculation, but one thing that is sure is that just about every denomination you can think of will use him as a prop in their “baptism is not necessary” meme. Whenever you see a debate between a member of the CofC and a member of another denomination (usually Baptists, ironically enough), the thief on the cross will be marched out as though he holds the key to the whole baptism argument. I’m sure you know how it goes by now: baptism cannot possibly be necessary for salvation because the thief on the cross was saved and he hadn’t been baptized. As well, we all know the refutation of such an argument so I will not go into it here. But I bring it up simply because it is illustrative of the faulty argumentation and exegesis that so many engage in, in order to protect their traditions. And, it is one of the clearest examples of how we often seek to build a whole doctrine from a very narrow event. Thus, our generalities become our specifics! And what would you say about someone who claims that Jesus minimized the need for contributing to the work of the church by quoting the Shema: “Hear oh Israel, the Lord your God is one God. And you shall love the Lord your God with all your heart, and with all your soul and with all your mind. And you shall love your neighbor as yourself?" Just about now you may be scratching your head and wondering what that has to do with money. Well, you’re not alone, but our author did so in order to, according to his tortured logic, show how we can minimize the contribution of the church as long as we love God and our neighbor. It seems to escape Mr. Simpson that loving God and obeying his commands go hand in hand. (John 14:5, 15:10). If it is true that we in the CofC sometimes overemphasize the need for obedience, it is because so many have forgotten that obedience shows our love. That is pretty much the whole point of the epistle of James. From chapter one to chapter five, James warns those who today would be called the “Free Gracers” about the dangers of such a position. He does not tell us that works are more important than faith, but he does tell us that works and faith work hand in glove to accomplish God’s work in our lives. We cannot neglect one at the expense of the other. We are indeed saved by faith, but our salvation is not an end in itself; it is only the beginning of a faithful, obedient life that shows that we are indeed children of the God of heaven. In the final analysis, we run a grave risk when we insist on making doctrine out of generalities. In addition, to tar and feather a whole group of Christians because of the actions of a few is not only unfair, but also reprehensible. There will always be those who are hypocritical and unconverted within the body of Christ. But that does not make the particular group to which they may belong nothing but hypocritical liars who care little for what God has to say. Were that the case, no group of Christians would ever be thought of as true believers! We should receive one another as Paul instructed the Romans (14:1), but do so, not in order to find something to argue about or to pick on, but to help each other grow in the grace and knowledge of the Lord. (2 Peter 3:18) If we do so, we will find that our walk in this life will be much easier and the work of the kingdom much more effective.